If your metal watch band is too small, you can add links to make it bigger and ensure a perfect fit. Use this guide to add links that are held in place with spring bars. 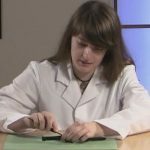 How can you tell if your watch band is held together with spring bars? 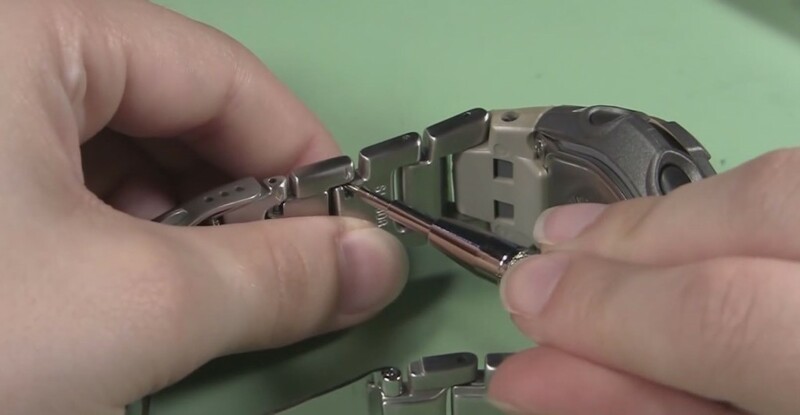 Look at the inside of the watch band. If there are no holes on the outside of the links, but the back of the link has an arrow and a small window in it like this, you are probably dealing with a watch band held together with spring bars. Note: It is difficult to determine how many links you need to add to your watch band, so it is best to start by adding one link at a time. Start by adding your extra links to the shorter side of the watch band and if you end up adding more than one link, be sure to add links to both sides of the clasp so it will stay centered on your wrist. 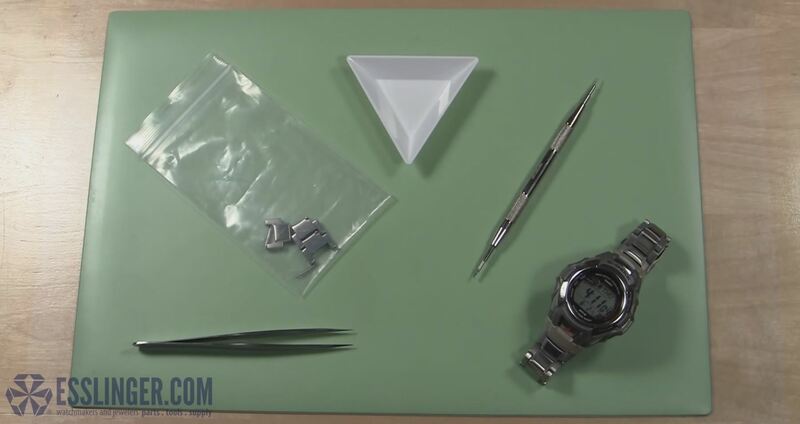 If you have previously removed links from your watch band, find the extra links and pins that you removed. You can use them to add links to your band without having to purchase new parts or links. If you don’t have extra links, you will need to order additional links. Choose which side of the watch band you want to start removing links from, and place the band on your bench mat with the back facing you and the arrows pointing down. If you don’t feel like you have enough room to access the links with your spring bar tool, you can open the watch band clasp to give you more room to work. Grab the first link from your extra links that you will add to this side of the watch band. Use one of the spring bars from your extra links to put this link back into the band. One side of the spring bar will have two donut rings on it and the other side will just have a small peg end. 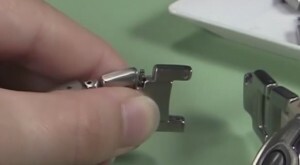 Insert the spring bar into the male end of the loose watch band link. The spring bar should go in with the peg end first. Position the male end of the link in the other loose link so that the peg end of the spring bar fits into the notch in bottom side of the female link. Then, take your spring bar tool and push the top of the spring bar down with the forked end. Slide the spring bar and link completely into the female link. Holding the two links together, wiggle the spring bar around until it snaps into place in the notch and holds them together. Remember you can add two links to this side of the watch band before you need to add a link to the other side. Add another link to this side if you need to. 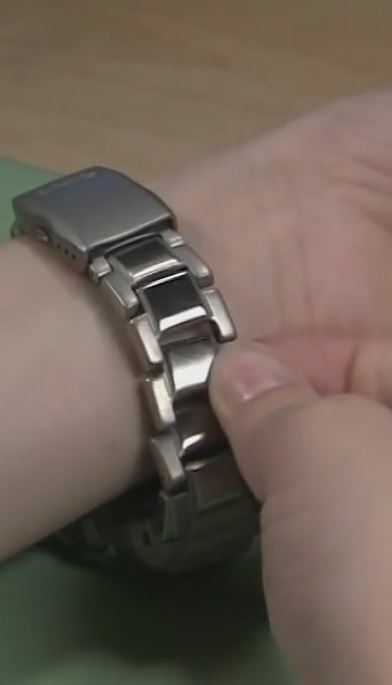 With the first loose link attached back to the band you can wrap the watch band around your wrist to see how it is fitting. 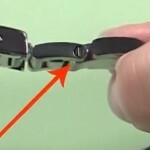 Be sure that the metal clasp is closed, and then judge the distance of the opening in the band. 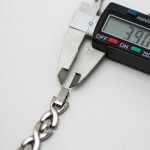 If the gap is larger than one link, you will need to add at least two more links to the band. Once the loose links have been added to the band, there should only be one opening in the band. 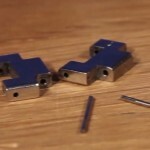 Connect the band back together by taking another spring bar from your parts tray and inserting it into the male end of the links with the peg side pointing down. Next, position the male link in the female link so that the peg end of the spring bar sits in the notch for it in the female link. Using the forked end of your spring bar tool, push the free end of the spring bar down and slide it and the link completely into the female link. Keeping the two links together with your hands, wiggle the male link around until the spring bar slips into the notch and the band is held securely together. With the band closed, try the band on again. If you can comfortably close the clasp you are done. If you still cannot close the clasp you will need to add another link to the band, on the opposite side from the one you started on. If you need to add more links, take the band off and turn it around so you can add the rest of the links to the other side. Repeat steps 3 through 8 to add the additional links and close the band again. When the band is together again, try on the watch band. It should fit just the way you like. If not, you can add or remove additional links until it does. 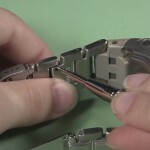 To learn how to remove links, check out the article to learn How to Remove Spring Bar Watch Band Links.